Translucent panels are an ideal product for letting in diffused natural light with good insulating properties. 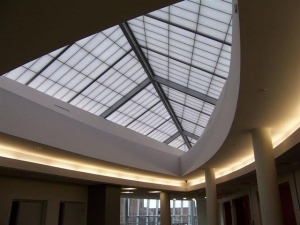 Translucent panels can be used in window / curtainwall framing systems or in skylights. These products are typically specified for schools, gyms, field houses, churches, office buildings, academic buildings, canopies and more. 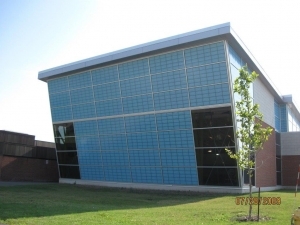 Translucent panels are a versatile building product because of their light weight and ability to be made in large panel sizes. Translucent panels introduce natural light in walls and roofs with superior energy performance, allowing daylight into spaces to reduce the need for incandescent lighting for a greener, more energy efficient building. This is why architects choose to specify translucent panels. We have installed hundreds of different projects with translucent panels, and are expert in the proper installation methods and best practices for these units.